The other day we told you about Table Connect, which is a 58 inch working iPhone desk, and you can use the desk just like your iPhone to launch apps and browse the web. The guys responsible for the protect have now released a video of the Table Connect in action, you can see it working the the video below. So what do you guys think after seeing the video? 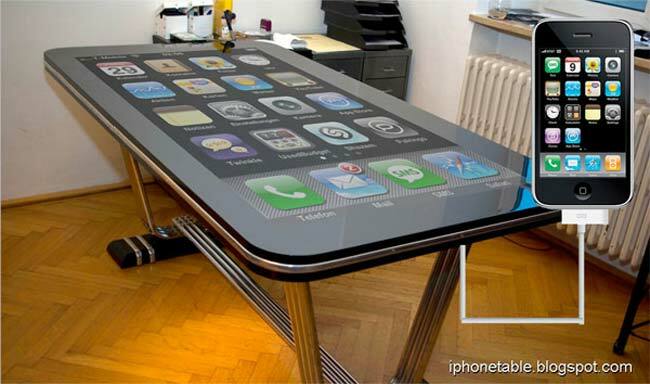 is this a real working 58 inch iPhone Table? or some clever fake. As a number of people have noticed, when the app to activate is opened, the iPhone user also presses the sleep button on the iPhone.